Han Solo is still not a box office force. 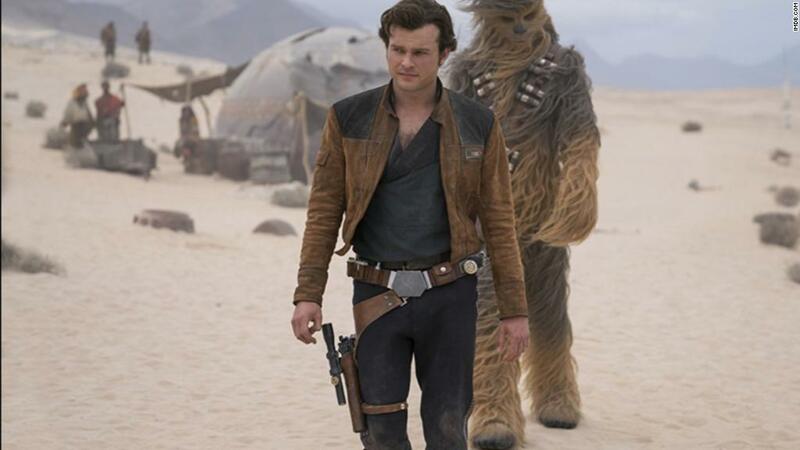 The second weekend of "Solo: A Star Wars Story," which tells the story of the rebellious pilot's youth, made an estimated $29.3 million in North America, according to the studio. That's a drop of roughly 65% from its first weekend's three-day total of $84.4 million. So far the film has brought in $264.2 million globally. "Solo's" drop this weekend is a major concern since there was virtually no big competition. The film's journey forward at the box office is only going to get more difficult with a big June on the horizon. The next three weekends include debuts of "Ocean's 8," Pixar's "Incredibles 2" and "Jurassic World: Fallen Kingdom." Jeff Bock, senior box office analyst at Exhibitor Relations, told CNNMoney earlier this week that he thinks it'll be difficult for the film to break even with its production costs, which reportedly totaled $250 million, not including marketing and distribution. Related: Is 'Solo' suffering from 'Star Wars' fatigue? While its box office haul is by no means meager, it's a disappointing performance for an installment in one of America's best-loved franchises. Bock expects "Solo" to earn less than $450 million during its entire run in theaters. By comparison, the last two "Star Wars" releases raked in more than $1 billion each. Some attribute the film's sluggish performance to Star Wars fatigue. Lucasfilm, which is owned by Disney, released "Solo" just five months after the debut of "Star Wars: The Last Jedi." Bock has another theory. Prequels starring established characters usually lack drama, because fans know they aren't in much danger, he points out.